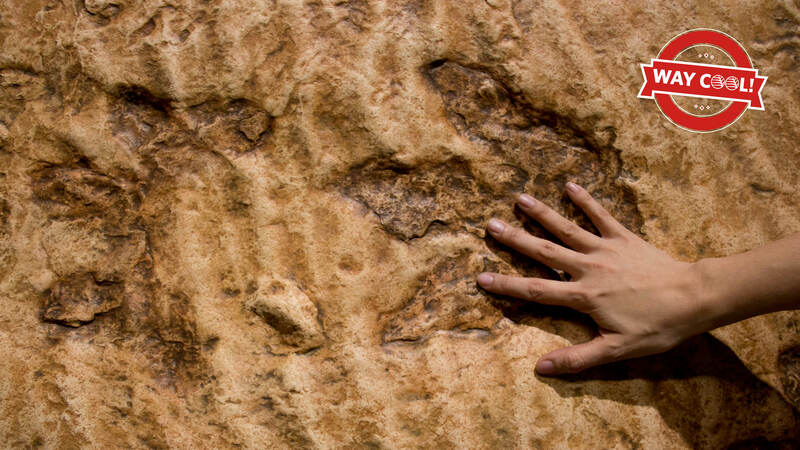 Leap back in time and walk in the footprints of dinosaurs! This engaging exhibit immerses you in our country’s fossil heritage and inspires you to connect to the natural history of the world around you. 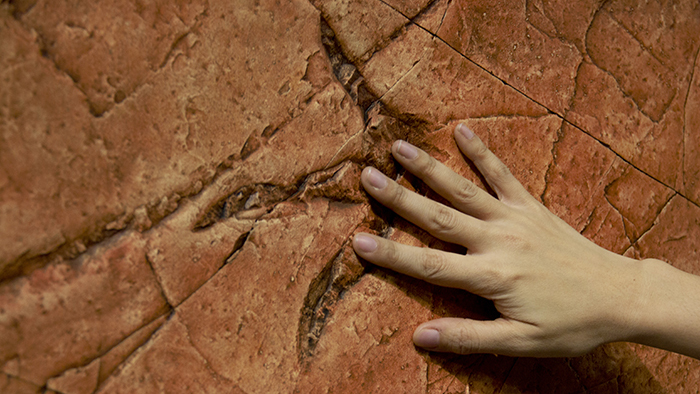 Get hands on with three stunning dinosaur trackway casts from British Columbia, including one new to science. 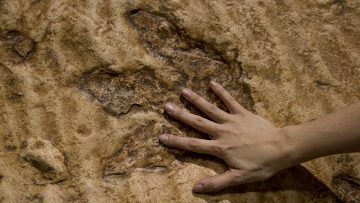 Explore what a dinosaur trackway is, how they are formed and what they can tell us about the creatures that made them. Using these trackways as a starting point, uncover how these prehistoric fossils connect to modern species in this museum and the world around us. In partnership with the Peace Region Palaeontology Research Centre. March 29: Hear stories of how BC’s trackways are discovered and what they mean for biodiversity research. Dinosaur Behaviour is Way Cool because . . .
April 1: What have we learned about the creatures who made the trackway fossils discovered in BC?